Museums, sort of. Maddie and I love a good First Thursday. First Thursday is code for free museum day in Seattle. We're poor college students, we're all over that. Originally, we weren't planning anything, until early last week I saw on Instagram that James Franco was in town working on a piece at one of the local galleries. When James Franco is in town, you look for him. When he's working at a gallery, you go to that gallery. Basically, we went out with the prospect of meeting James Franco....at least I did. Maddie was more intrigued by the art. The gallery was located in the historical district of Pioneer Square. 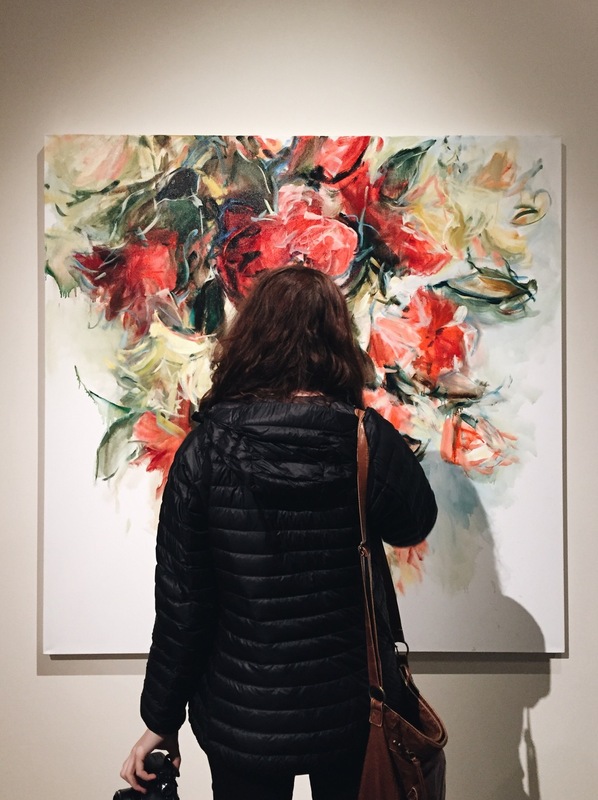 For first Thursday in Pioneer Square, loads of galleries open their doors and participate in the First Thursday Art Walk. Local art = awesomeness. My friend Mackenna also tagged along because it's been a while since we've hung out. Plus, she's been pretty busy with school and work and applying to the college of engineering, which is amazing! She deserved a break and joined us for the adventure. Plus, she's an awesome photographer and brought her camera. We hopped on the bus right around rush hour but somehow made it down to Pioneer Square in decent time. After a little navigation trouble and a good samaritan who pointed us in the right direction, we found the Treason Gallery with hoards of people outside waiting to get in. Uh oh. The line wrapped around the building. Luckily the weather was perfect and there were interesting, artsy people milling about, providing us with prime people-watching opportunities. And honestly, the line went pretty quick and we were soon ushered into the gallery, shoulder to shoulder, maneuvering between people. 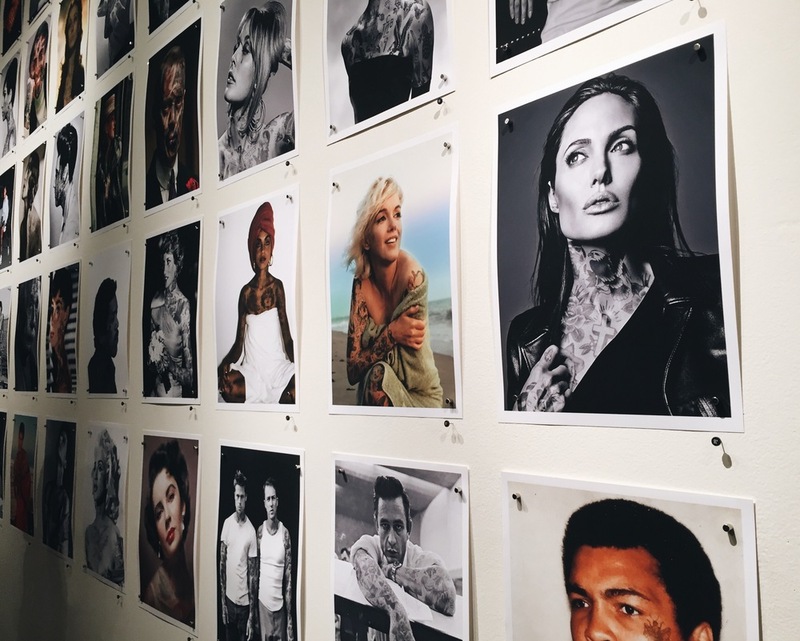 Now galleries are small, and there were a few main pieces on the walls like these prints with famous icons tattooed, fun and provocative! Look at all of the people in this gallery! At the back wall was HOLLYWOODNT by Cheyenne Randall in collaboration with James Franco. I had my eye out for him but apparently he had left Seattle already. I didn't buy the fact he was gone, but he definitely wasn't present in the gallery. Still, I still got to see his face, twice. The faces and foliage appeared to be xeroxed on and James actually painted the humming birds. Since we were in the area, we decided to wander to the Foster/White Gallery across the street. This is probably the largest gallery and most aesthetically pleasing I've ever set foot in. Sneaky photos of Maddie are my speciality. Maddie and Mackenna admiring the beautiful work by Joshua Jensen-Nagle. After a quick walkthrough, we popped over next door to the Greg Kucera Gallery. I instantly connected with Sean Johnson's There's A Story Here because I too sometimes feel like this recliner, hanging on by a few threads. Wandering further into the gallery we stumbled upon this gorgeous gradient and fawned over it for a bit. Perfect in every way. The pink cow down there on the left also happens to be an Andy Warhol, casual. I had a blast with these gals. Thanks for the cute photo Mackenna! Such a fun evening with two of my favorite people! Actually three if you want to include James.